The rise of evolutionary biology - What was biology before Darwin like? 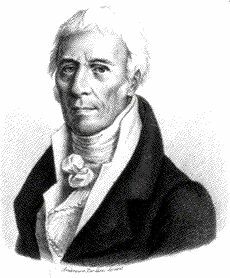 The French naturalist Jean-Baptiste Lamarck (1744 - 1829) also argued that species change over time into new species. The way in which he thought species changed was importantly different from Darwin's and our modern idea of evolution, and historians prefer the contemporary word 'transformism' to describe Lamarck's idea. Lamarck (pictured opposite) supposed that lineages of species persisted indefinitely, changing from one form into another; lineages in his system did not branch and did not go extinct. • The principal mechanism was an 'internal force': some sort of unknown mechanism within an organism causing it to produce offspring slightly different from itself, such that when the changes had accumulated over many generations the lineage would be visibly transformed, perhaps enough to be a new species. • Lamarck's second (and possibly to him less important) mechanism is the one he is now remembered for: the inheritance of acquired characters. As an organism develops, it acquires many individual characters, in this biological sense, due to its particular history of accidents, diseases, and muscular exercises. Lamarck suggested that a species could be transformed if these individually acquired modifications were inherited by the individual's offspring, and further modifications were added through time. Note: Biologists use the word 'character' as a short-hand for 'characteristic': a character is any distinguishable property of an organism; it does not here refer to character in the sense of personality.